Lead your team to the win and look great at the same time with girls polos & coach’s shirts from Shop4Teams! 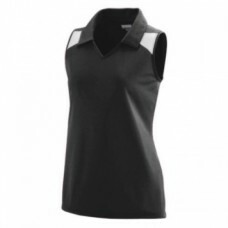 Coaching clothing and sideline wear from Shop4teams.com, an industry leader in providing coach's clothing and coaching outerwear, is available in many varieties and color options. Your players are looking to you for leadership, support and guidance. It is your job to take your athletes and mold them into champions and inspire your team to give their best at every practice and every game. It is not an easy job, but when your team gives it their all and brings in the win it leaves you beaming with pride and shows just how rewarding being a coach can be.